Nothing says “I think you’re cute” much like these adorable makeup items from Paul & Joe. Pearl Foundation Primer in 002 Sweet Bonbon was released as part of the brand’s spring 2017 Les Petits Noms d’Amour makeup collection, which celebrates thePaul & Joe Beaute Line’s 15th anniversary. The Pearl Foundation Primer in Sweet Bon-Bon is comprised of four different shades of pink pearls, creating a flawless complexion and essential base for all skin-types. The Powder Blush adds a pop of color while the silky texture spreads evenly and helps highlight the face. First thing I noticed about this is its stunning packaging. Look at the glass bottle. 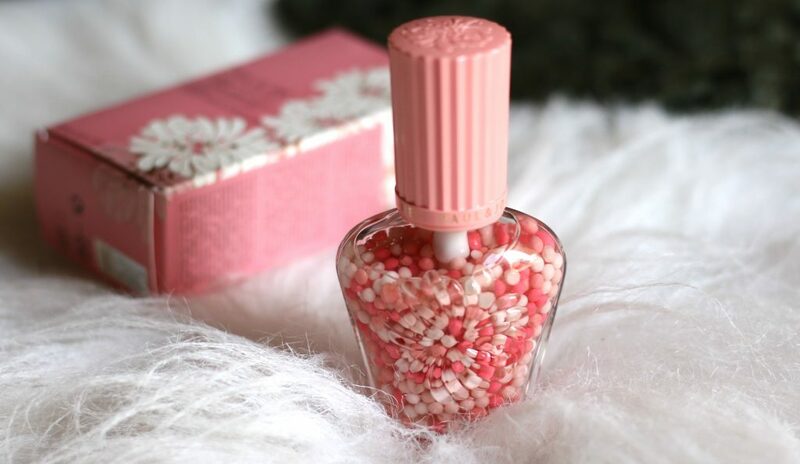 Isn’t it gorgeous with several shades of pink & white pearls, floral design on the front & top of the cap.Pink cap and good part is it has a pump dispenser. This foundation primer has a gel base with small pearls of four shades (marshmallow white, off-white pink, soft pink and strawberry pink). 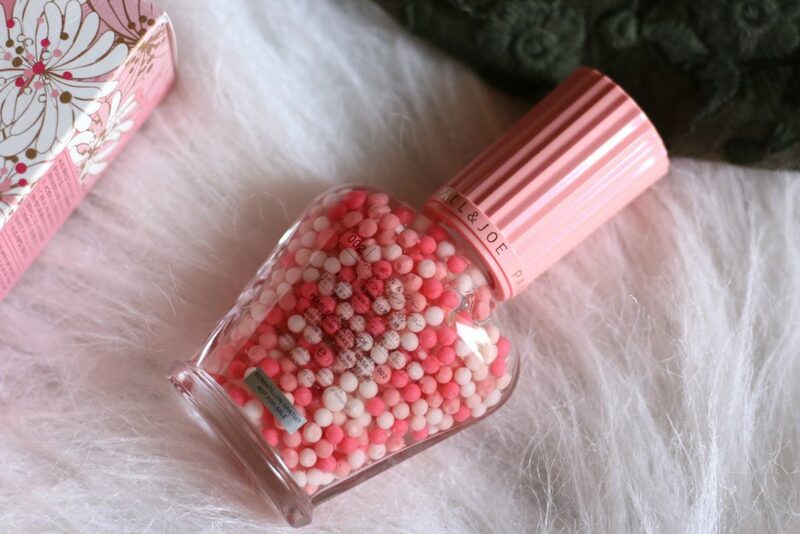 The pearls get crushed into small pieces as the product is dispensed, and they further disintegrate during application. It applies translucent. 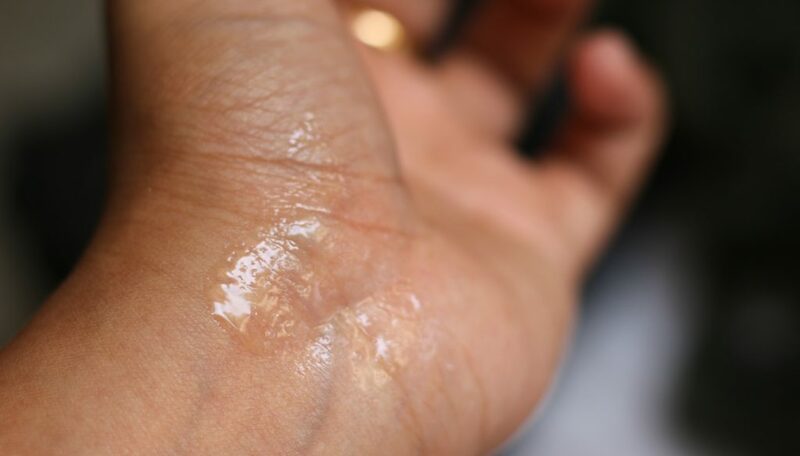 I dispensed 2-3 pumps onto the palm of my hand and applied it all over my face. Skin felt instantly moisturized and illuminated. I loved the idea of this primer + illuminator in one. I would say this is a glow primer. My makeup glide on easily and it doesn’t left any greasiness on my face. This s a very excellent moisturizing primer that prepares your skin for your makeup application. However, It doesn’t do any color correction, pore minimizing etc. It just make your face smooth and hydrated. 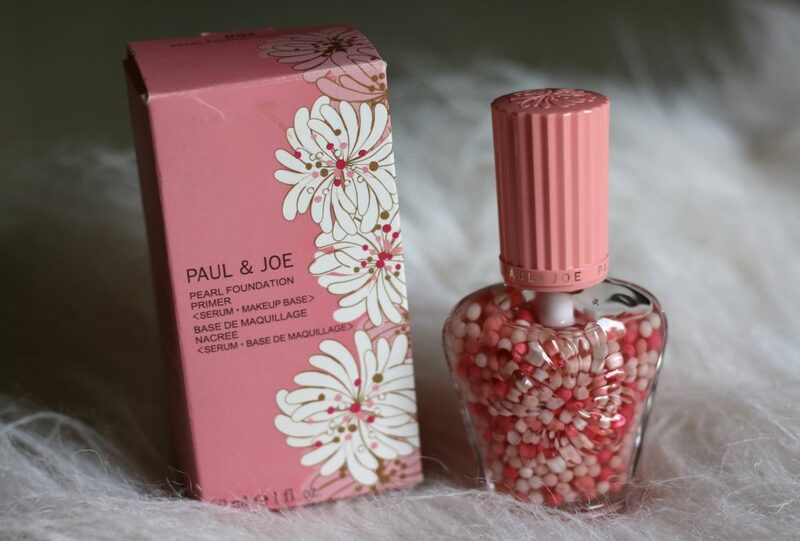 What I’ve noticed in common about Paul & Joe collection is – their absolutely adorable packaging, label, prints, unique design andthe way they usually have a cat/kitten or birds or flowers or wildlife theme. Injecting all the Parisian charm of her fashion collection into her cosmetics range, Sophie Mechaly’s adorable limited edition collections feature prints from her seasonal fashion line. Expect to find high-quality, innovative skincare and color cosmetics in a selection of sophisticated, wearable shades – all with a touch of whimsical Parisian je ne sais quoi. Have you used Paul & Joe Pearl Foundation Primer ?